Keith is Chair of the Youth Advisory Board for Lakota Children's Enrichment, a nonprofit that empowers youth in his home community on the Pine Ridge Reservation. 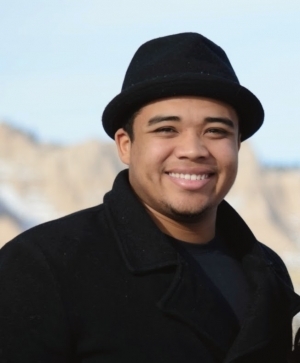 Keith has received numerous awards for his service with LCE: he was named South Dakota's National Child Awareness Month Service Ambassador by Youth Service of America (2013-14); a Champion for Change by the Center for Native American Youth at the Aspen Institute (2014-15); and he is the recipient of a scholarship to the PPIA Summer Institute at Princeton University (2015). 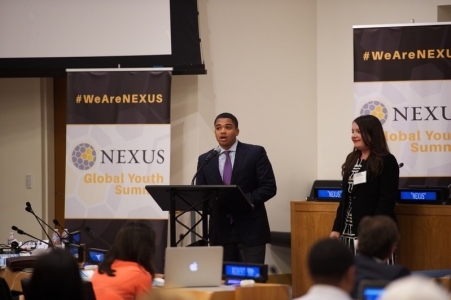 Keith frequently speaks about the power of education, seeking help and perseverance, and made his international speaking debut in the summer of 2014 at the Nexus Global Youth Summit at the United Nations. Lakota Children’s Enrichment is a for-purpose nonprofit that provides leadership and mentorship opportunities to youth from the Pine Ridge Reservation in SD. LCE works collaboratively with community groups and a Youth Board to create and produce opportunities for community service, arts, literacy, leadership and mentorship. LCE’s premiere programs include: an annual Writing and Art Challenge, which has the support of renowned panel of judges; Youth Summits that provide opportunities for expression in the arts, education, mentorship, leadership and always incorporate community service; and a Youth Advisory Board from across the Reservation, who help create new programs. LCE further provides essential support and services to help community members implement programs benefitting Native Youth, and educates people about the obstacles facing America's first peoples today. The Scarsdale Transfer Education Program ("STEP") is a two year college preparatory program for promising students of color (including those of Native American heritage) who may benefit from Scarsdale's challenging academic environment. STEP prepares these students for positions of leadership and responsibility in their college years and beyond. Keith Martinez was the first representative from the Oglala Lakota on Pine Ridge Reservation to participate in the program. 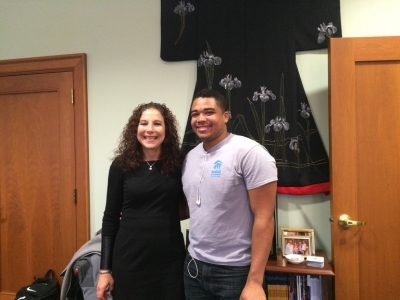 In the Fall of 2015, STEP will welcome LCE Youth Board Vice Chair Summer Montileaux to the program! The Truman Scholarship Foundation was established by Congress in 1975 as the federal memorial to the thirty-third President, Harry S. Truman. The Foundation awards scholarships for college students to attend graduate school in preparation for careers in government or elsewhere in public service. The activities of the Foundation are supported by a special trust fund in the US Treasury.